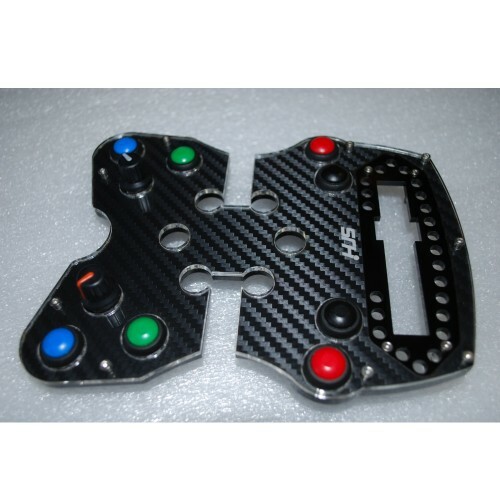 Please select if you want the wheel plate to be compatible with the Pro-Race first version or with the second version of the display. 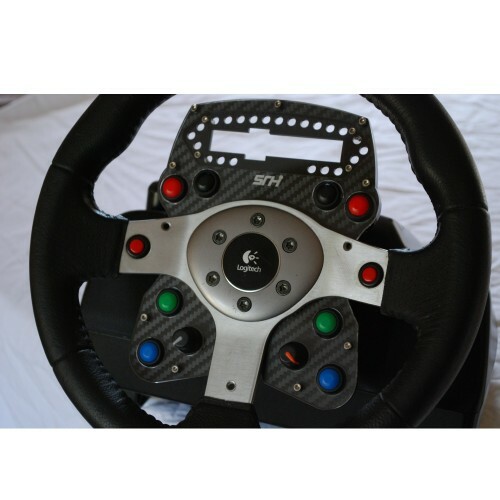 SR Hardware’s Logitech G25 wheel plates offer a very attractive and high quality complete mounting solution for adding a Symprojects Pro-Race shift light array to a standard Logitech wheel. These units come complete with buttons and rotary encoders pre fitted and include all the mounting hardware needed to fit the display unit. Like all SR Hardware products, these plates are built using only the best quality materials including high tech acrylics, stainless steel hex head bolts and the finest 3M Di-Noc coverings. With its unique multi-layer construction, it offers a stylish and higher quality alternative to basic plates available elsewhere. 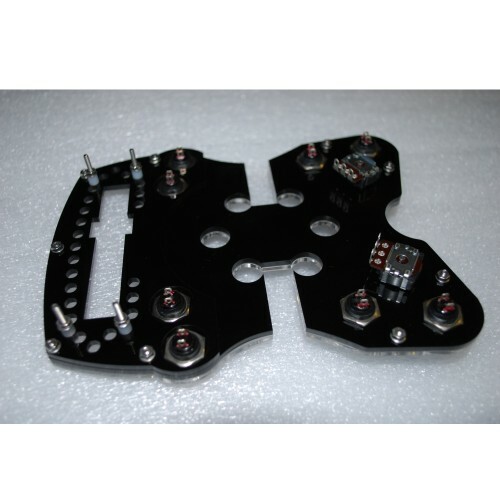 All the hard work is done is for you: we supply and fit the buttons and rotary encoders (pre-trimmed to the correct length of shaft and fitted modified soft touch knobs), fitting kit for the Pro-Race Display, leaving you to just bolt in your display unit and solder up the connections to the buttons and rotary encoders. The Pro-Race display is not included with this wheel plate.